Germany: Linux Magazin is in stores as of today. UK and other European countries: Admin Magazine 04/2011 to be released on July 17th. North America: Admin Magazine to be released on August 12th. Australia and New Zealand: Admin Magazine to be released on September 12th. I was told not to mention the exact number of media but trust me, it’s huge. 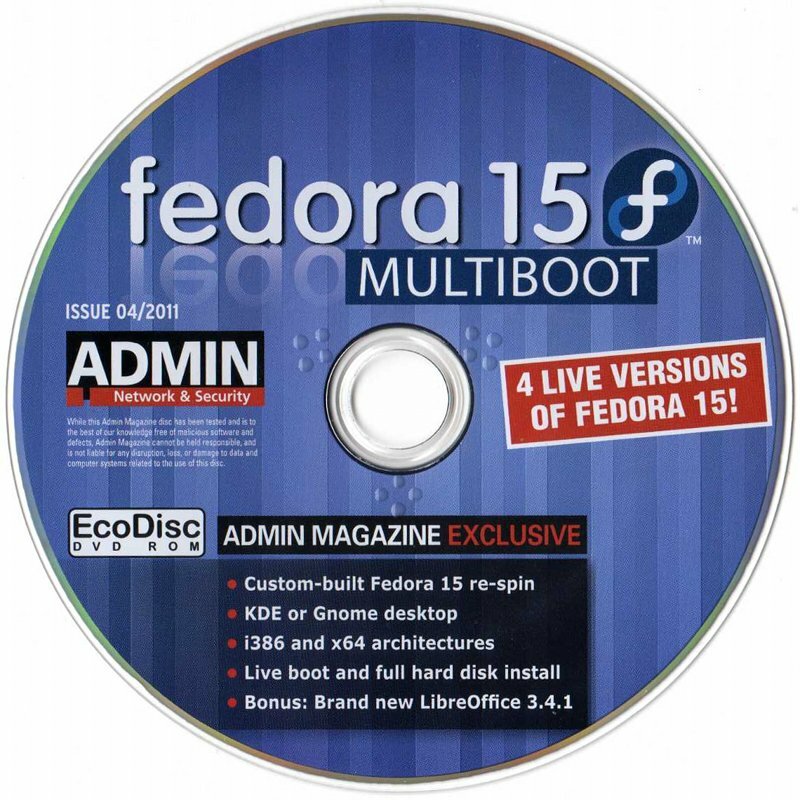 It’s more media than the ambassadors produced for the last 3 or 4 Fedora releases worldwide. And yes, I am fully aware that this media violates several guidelines and policies. It is a re-spin with updates included. We usually don’t to this but to conform to legal requirements, I uploaded the list of source packages to the correcponding-source git repo. It is a custom spin because the package selection is slightly different from the usual GNOME and KDE spins: It includes LibreOffice and for space reasons I had to leave all games out. 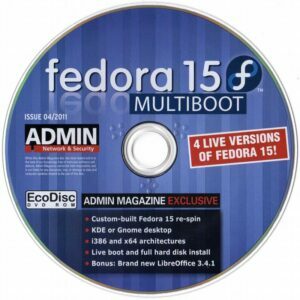 The isolinux background is the Fedora 15 one but branded with the logo of Linux/Admin Magazine. However this only affects the DVD but not installed systems. I dared to call GNOME “GNOME” instead of “Desktop” in the boot menu. I guess I should just have called it “Desktop” and tell confused people to mail advisory board list to complain. I didn’t ask the Spins SIG but as the Spins Wrangler I ‘approved’ it myself. There really was no time for discussions, the images had to be ready and shipped to Munich in less than 36 hours. I didn’t ask the board either. I know how discussions on a board level tend to become and there really was no time. Speak up if you think I have done harm to the Fedora Project!